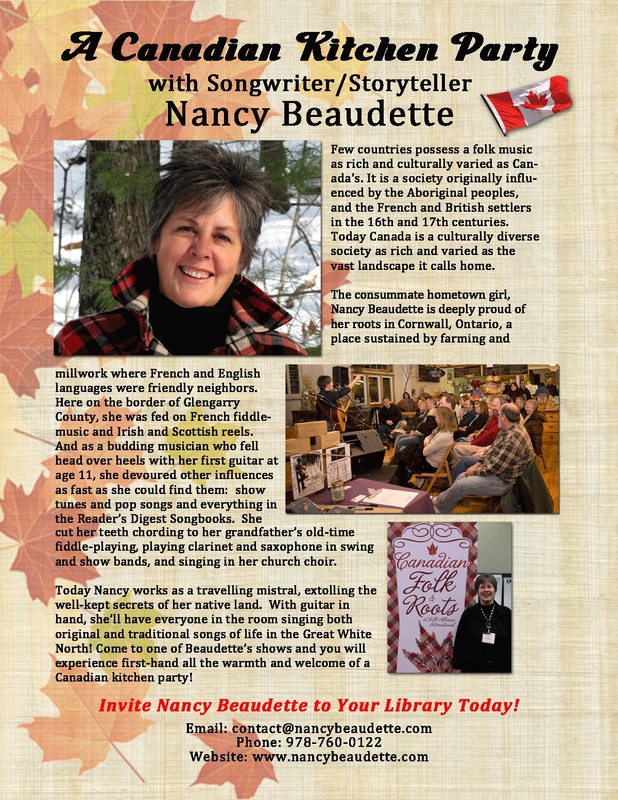 Showcasing Canadian Culture in the U.S.
Moonlit Pond Records & Promotion is currently booking Nancy Beaudette in libraries across New England. 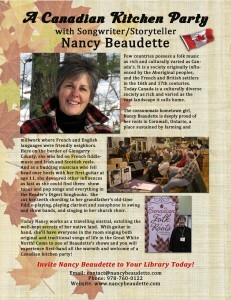 Nancy delivers a Canadian Cultural Program filled with stories and songs. Click on the image for details, and contact us today for additional information and availability.